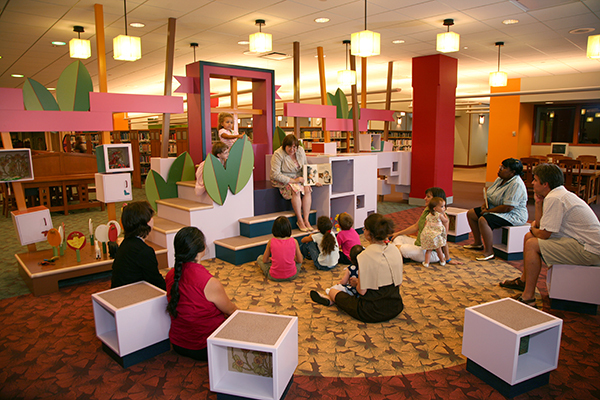 With collections exceeding capacity and unanticipated citywide increase in juvenile population, the Evanston Public Library had little room to grow. 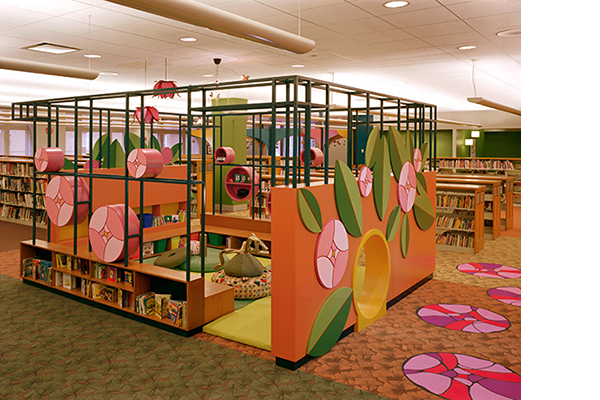 This challenging renovation reconfigured and re-envisioned the formal library, transforming it into a literary children’s garden of delights. 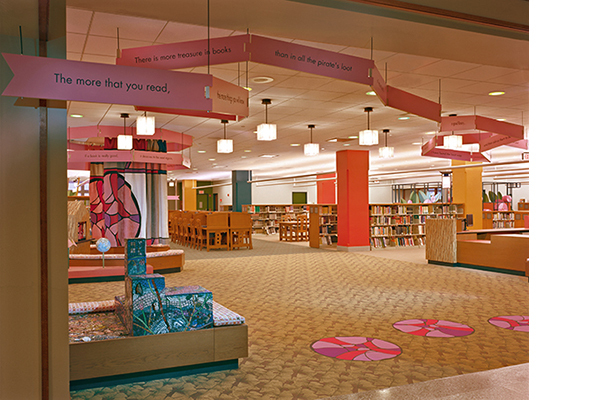 The interior’s carefully constructed landscape is inspired by the library’s Prairie aesthetics. 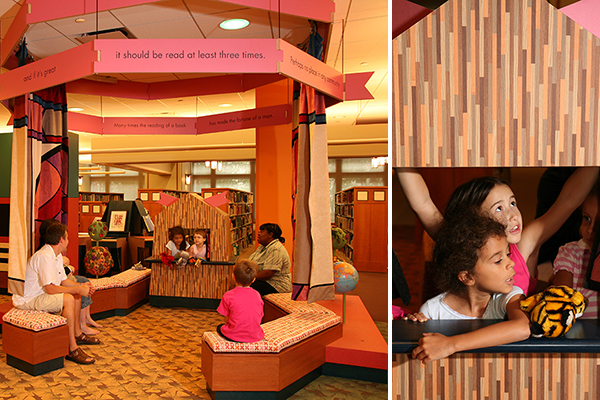 A mosaic fountain, garden gazebo, and ribbons of quotes welcome visitors of all ages. 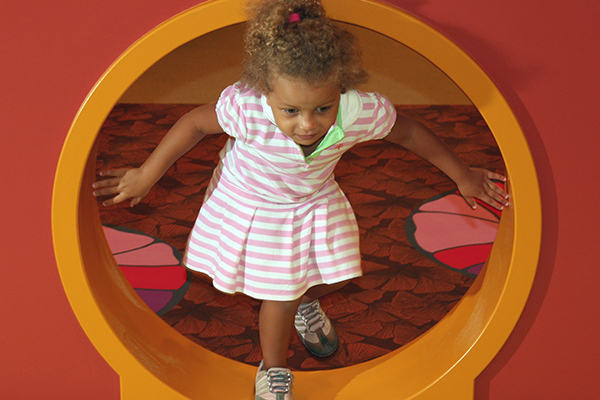 Meandering paths lead to developmentally appropriate centers where art meets story: Art Gardens, a woodland reminiscent of the revered Johnson Wax building’s desks and mushroomed columns; Reading Gardens, a quiet family space; Garden Gates, a storytelling circle; and Mac’s Garden, a sheltered Charles Rennie Macintosh-inspired infant zone. Achieving the goal of creating lifelong readers demands dedicated staff, great programming, and a special kind of place – a landscape of learning where there is room to grow. Demonstrating a green philosophy, lighting fixtures, furniture, and shelving were reused and 77% of removed material diverted from landfills. 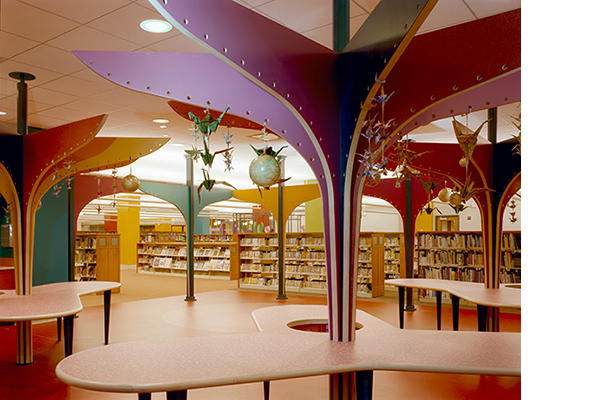 Soaring wood trees, enticing niches, creative details, scale and an appealing palette create an imaginative indoor landscape nurturing literacy and lifelong reading. Institutional Wood Award, Woodworks North-Central Chapter, 2007. Award given for innovative and inspirational use of wood in design. 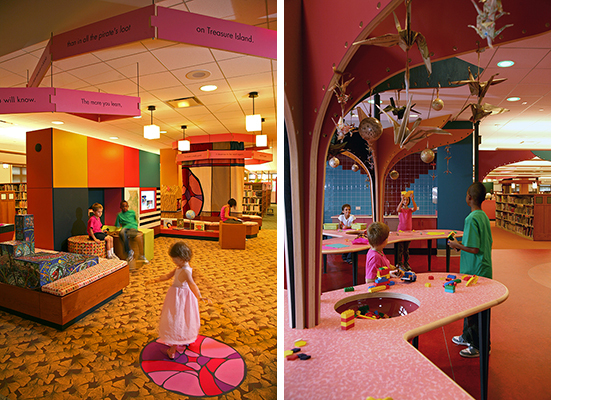 Architecture, Interior Architecture & Interactive Design: Architecture Is Fun, Inc.